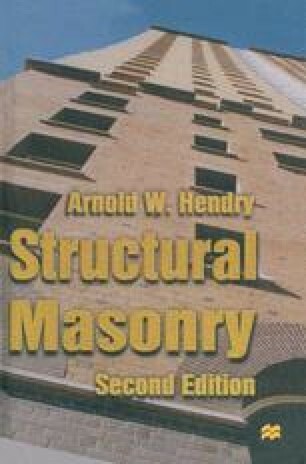 The brittle nature of masonry is no great disadvantage in situations where the load to be transmitted is vertical and compressive stresses predominate. It does, however, put severe restrictions on its use for elements in which significant tensile stresses are developed, and to overcome this limitation it may be useful to use reinforced or prestressed members. Special problems also arise in structures in seismic areas and in relation to resistance to accidental damage which may necessitate the use of reinforcement.